“We’re in a fight not because our opponents think we’re destined to lose the election. But because they fear we can win. And between now and the election they are going to use every tactic to try to destabilise, distract us and throw us off course. Our task, the task for every person in this party, is simple: To focus our eyes on the prize of changing this country.” Ed Miliband. 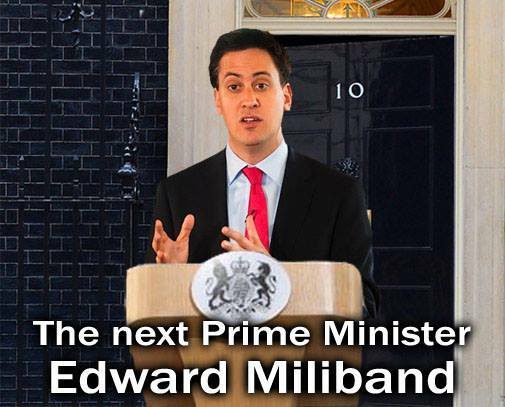 Ed Miliband has pledged to take on “vested interests” and “powerful forces” in his bid to win the next general election. Not even the Crosby and Murdoch-orchestrated media campaign, which was aimed at demoralising, undermining and monstering Ed Miliband can disguise the fact that the Tories are in a state of panic. NHS Crisis We Saw It Coming And Now Labour Must Stop It. Single parent? Attend the Jobcentre and get referred to social services as a troubled family. New trial at Ashton Jobcentre.